Campingaz C206 GLS Butane Propane Gas Cartridge - 190g. 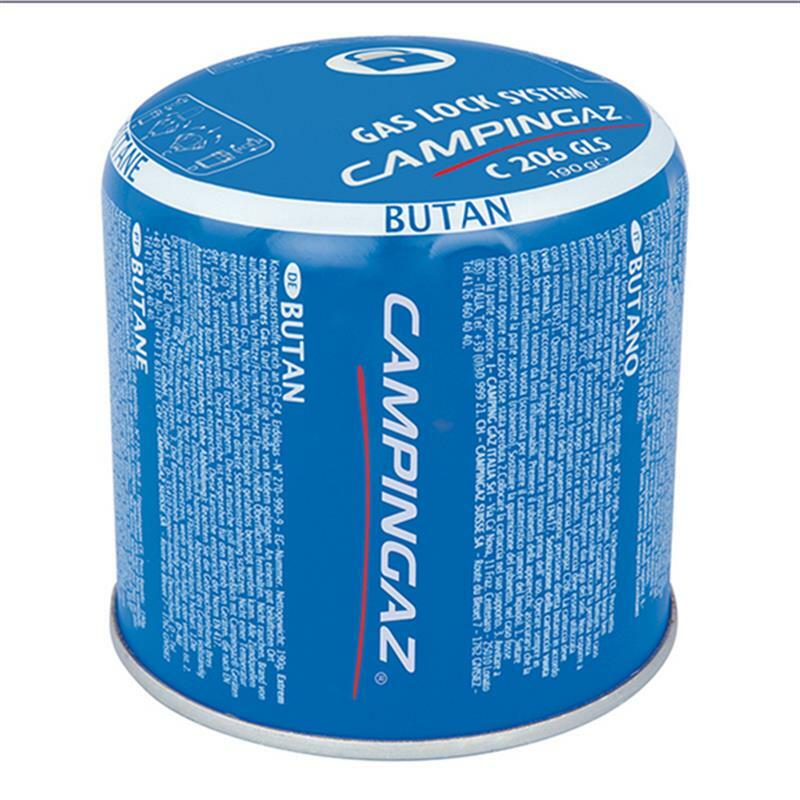 Campingaz C206 GLS butane propane gas cartridge with gas lock system to prevent the majority of residual gas escaping from the cartridge if accidentally disconnected. Contains 190g Butane/Propane mix.